After having Sol Republic Tracks HD headphones for over 4 months now, I've decided to write an review. The review is going to be relatively short, but hopefully I'll be able to convince you that these are really worth buying. Lets start with the sound, shall we? 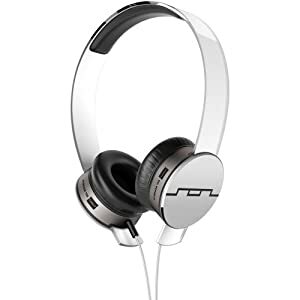 The Sol Republic Tracks HD has very powerful, clear bass. Even though the bass is powerful, the Sol Republic still manages to deliver great crisp mid, which is something that the Beats Solo HD struggles to do. The Tracks HD are not perfect, as they are lacking a little bit of highs but still offer a pretty good sound for the price! I suppose this is more a personal opinion, but I think that these headphones look absolutely beautiful and my friends also like the look too. These headphones are made of plastic, metal and leather. These headphones really come out of the other headphones with their removable sound engine and with it's headband that go through the sound engine. I'm my opinion, these headphones look awesome and I just love it! Next, I'd like to discuss the Durability. First of all, I just want to say that the headband is simply indestructible as I tried everything to break them but I simply couldn't! The worst that could happen is the cushions might come off but they can be easily glued back to place. The cable can be removed from the engine so if the cable breaks you can easily purchase new ones from the Sol Republic website. Furthermore, you can purchase a new a headband and engine from the site. This means you can buy everything in part, which is pretty useful if you happen to break something individually. Bottom line is, these headphones have great durability and are very well built. And now to the last point, the features. The headphones have some pretty interesting features such as removable sound engine. This means you can give one of the two engine to your friend if you want to listen to the same music. However, if you don't have any friends, then I'm sure your cats will like to listen to your music too! The cable also has a 90-degree 35mm plug so you can avoid putting too much pressure on your iPod or phone. The cables and headbands can also be changed. This can be done via the Sol Republic site that allows you to purchase different ones along with limited edition cables and headband. Bottom line is, these headphones have a great overall build and sound quality for the price, along with some interesting features. If you want to get these, you can buy them for 130$ on Solrepublic.com or for about 90-100$ on Amazon.com.